While there are hundreds of different marketing strategies, only one can bring in consistent sales from day one: social media advertising. Social media advertising, or social media targeting, are advertisements served to users on social media platforms. Social networks utilize user information to serve highly relevant advertisements based on interactions within a specific platform. In many instances, when target market aligns with the user demographics of a social platform, social advertising can provide huge increases in conversions and sales with lower cost of acquisition. What Are The Benefits Of Advertising On Social Media Channels? Most channels require significant lead time to yield an ROI. For example, content marketing works best over time after it has been able to yield backlinks and SEO traction. Some channels yield quick results but not day in and day out. For example, influencer marketing can earn you quick results in terms of sales for low effort (though high cost). But those results don’t continue occurring over time. Instead, you earn sales on a per post basis, and often less each time it is posted. Some channels are consistent but time consuming to dial in. For example, AdWords can produce consistent results for your brand, but it takes a while to master and earn specific placement. With social media advertising, you can have consistent sales coming in from the first day your website is live. For modern ecommerce sites, the ability to immediately and consistently bring in new customers is a HUGE deal. Even if you can’t achieve net positive revenue on the initial sale, referrals, email marketing and customer retention can pay off extensively with every marginal customer. This is why global social ad spending doubled from $16 billion in 2014 to $31 billion in 2016 and is projected to increase another 26% in 2017. In this guide, we’re going to explore how YOU can drive consistent sales for your website through social media advertising. We’ll look at some of the most popular social platforms, provide some advanced tactics and tips for dialing in your campaigns, and teach you how to efficiently manage multi-channel advertising without losing your mind. Social networking (Facebook, LinkedIn, Google+). Photo sharing (Instagram, Snapchat, Pinterest). Video sharing (YouTube, Facebook Live, Periscope, Vimeo). New social media networks come out every week, most of which will never gain any sort of traction. In our opinion, it’s best to start with the most popular platforms, then once you have profitable systems running, you can look at allocating a percentage of your budget toward more experimental campaigns. In 2019, there are 6 different social media channels where you can follow proven ad strategies and generate consistent ROI. Grow your sales and your fanbase. Use customer generated content for ads (which perform better, too!). Better target net new and returning customers (so you waste less money). One of the fascinating things about social advertising is that there is virtually no limit to your ability to scale. You don’t have to wait for someone to search for your targeted keywords. You don’t have to wait for someone to run your promotion or read your blog. If you want to reach 50,000 people in one day, you can. Finding success on social media requires you to thread a number of needles together somewhat seamlessly. You have to present a compelling offer via a compelling medium to people who will actually find it compelling, in a place those people will actually see it. When you add the advertising element on top of that, you also need to a find a platform where users will actively engage with paid ads. Let’s take a closer look at what each of these 6 platforms offer to help you decide where it’s worth your time and money to invest. Not sure where to start? Want some expert help – for no additional cost? Get a free social advertising evaluation today to figure out where you should double down to boost your return on ad spend. Facebook is THE universal social media network. With more than 2 billion monthly users, Facebook hosts over a quarter of the world’s population, providing advertisers with an unparalleled opportunity to reach virtually anyone and everyone. When it comes to ecommerce, Facebook excels at lead generation. If you want email addresses, Facebook is the place to go, with many advertisers reporting costs below $1 per lead. The most common model used is to run a Facebook ad directly into a high-converting landing page offering some variety of a free lead magnet or bundle product. These leads can then be nurtured with a targeted autoresponder that introduces them to your brand and products. Expression Fiber Arts does a really great job of this –– offering free products, download-ables and predictable discounts and coupons for her audience. Doing so has earned her more than $1,000,000 in annual sales in just 2 years. Many ecommerce brands also use bundled product offerings to drive home perceived value and earn immediate conversion. 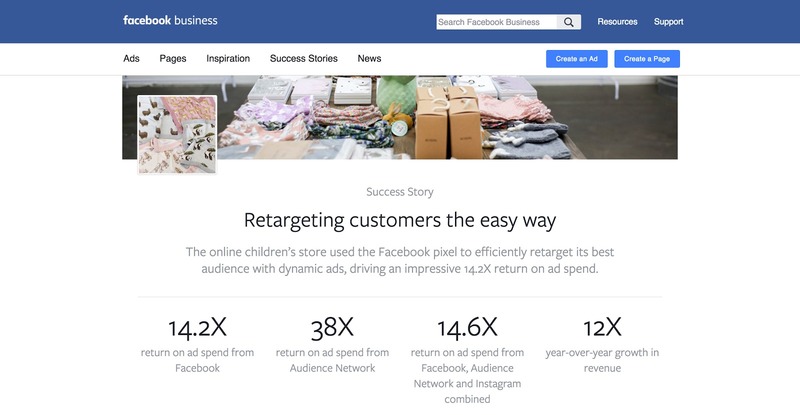 Facebook allows more advanced targeting than any other advertising platform on earth. Advertisers can target by location (within a 5-mile radius), job description, interests, past activity, and many other incredibly valuable criteria. Pricing varies widely based on several factors, including the audience you’re trying to target and the budget you set for your ads. As a general rule, the more money you spend, the more efficient Facebook’s algorithm becomes at spending your money, increasing your ad performance over time. According to an extensive study done by AdEspresso, the average cost per click (CPC) of Facebook ads as of 2016 was roughly .28 cents and the cost per 1,000 impressions (CPM) was $7.19. The study went on to break it down by age and gender as well. The 65+ age grouped showed the most continuous trend of lower CPC costs over time. Females cost on average 4 cents greater CPC than targeting males. For a step-by-step guide covering the first 2 parts, check out this guide from Neil Patel. For a how-to guide to setting up retargeting, follow this guide from Conversion Sciences. Don’t run the same exact ad(s) to all of your audiences. Your prospecting and retargeting ads should be unique, and your ads for each audience “interest” segment should be tailored to that audience. Use prospecting ads to build brand awareness and teach people about your product, and then use retargeting ads to seal the deal with users who have already signaled interest. Retargeting ads are ideal for an aggressive pitch and close. The use of emojis in ads has been spreading like wildfire, even among larger, more established brands. They can be very effective at driving higher CTRs, but as with all strategies, you should A/B test for yourself to be sure. Always be testing! Ad fatigue is an ever-present challenge on Facebook, and it’s best to rotate in and test new ads every 2 weeks. Lookalike audiences are a staple for many advertisers… and rightly so. They tend to work very well for prospecting. That said, you should take care not to layer additional targeting on top of the lookalikes if you can avoid it. You run the risk of shrinking your potential reach and missing out on valuable customers. BigCommerce customers using Ecommerce Insights can quickly export a list of their highest AOV and highest LTV customer cohorts and then use those to find lookalikes on Facebook. A great example of Facebook ads in action comes from Spearmint LOVE, a baby clothing brand out of Arizona. The founder’s husband, John Lott, spent an entire year working to nail down the brand’s Facebook retargeting campaign. Through spreadsheets and tracking and conversion pixels back on the site, his hard work paid off. His secret? Cohorts matter –– a whole lot. Spearmint LOVE has been so successful with Facebook advertising, in fact, that Sheryl Sandberg, COO at Facebook, posted about them after Facebook’s Q2 2017 quarterly report. To learn more about Facebook advertising, read the Complete Guide To Facebook Advertising. While Facebook’s mind-boggling user numbers make it the undisputed king of social media, the company’s hottest acquisition is beginning to look like the king of social advertising. Instagram now boasts more than 500 million monthly active users and commands one of the highest audience engagement rates in social media, 58% higher than Facebook and 2000% higher than Twitter. Instagram’s engagement rates are 58% higher than Facebook’s and 2,000% higher than Twitter’s. Instagram is, of course, very image and video heavy. As such, sellers of products that are visually appealing or who are able to incorporate visual media into their campaigns tend to perform best on this social media channel. It is also worth noting that Instagram’s user base skews heavily to the 18-29 range and slightly more toward females and minorities. If any or all of those characteristics are in alignment with your target audience or buyer persona, than odds are, Instagram will be the best ad choice for your business. 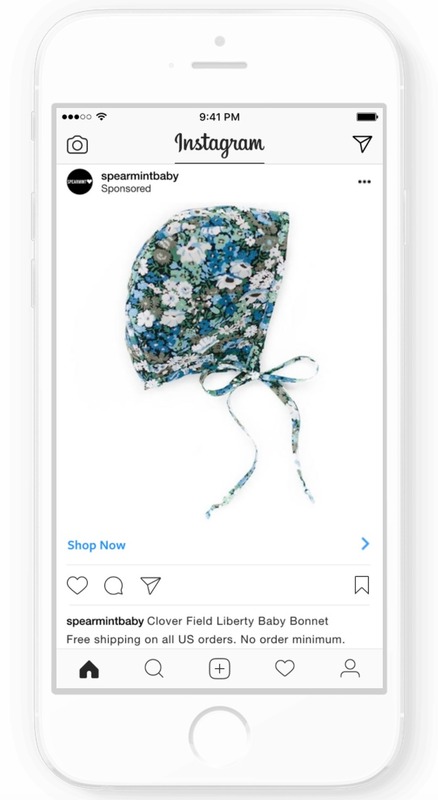 Unlike organic posts, Instagram ads can be made to link directly to a product page or other landing page, allowing for direct engagement with your products. On average, Instagram advertising costs are in the same ballpark as Facebook ads at a cost of $5 per thousand impressions (CPM). While the price may be similar, most current statistics show that Instagram gets much more engagement on their posts and ads than Facebook does. For instance, Victoria’s Secret saw an average of 2,078 likes per post on Facebook versus 283,030 on Instagram. Similar variances have been found with brands like Mercedes Benz, McDonalds and Playstation. With Instagram being owned by Facebook, setting up Instagram ads is very similar to setting up Facebook ads. Here’s a visual, step-by-step guide to launching a campaign. Focus first on custom audiences. This could be audiences created through pixel tracking, an email list, a followers list or some other method. Lists of users who have engaged with you in the past perform best. When you are ready to expand past custom audiences, lookalike audiences should be your next stop. Facebook/Instagram’s algorithm is very good at finding similar audiences that will respond well to your ads. Use custom images of real people. Stock photos do NOT work on Instagram. Make your offers irresistible. Instagram’s visual nature takes impulse buying to the next level, but you won’t tap into that if you aren’t offering something compelling. Take hashtags seriously. They are kind of a joke everywhere else, but Instagram is driven by hashtags, and they are a great way to connect with niche audiences. A great example of Instagram ads in action again comes from Spearmint LOVE, proving that you don’t have to double down in only a single channel. The Spearmint LOVE team had great success with its organic posts on Instagram, but the business really grew after advertising on Instagram and Facebook. To continue that growth, the company used Ads Manager to integrate the Facebook pixel with BigCommerce, its third-party ecommerce website—all without touching a single line of code. For its Thanksgiving retargeting campaign, the Spearmint LOVE team optimized its ads for conversions, and used data from the Facebook pixel to set up a custom audience to retarget. The team used to manually build out its targeting lists, but with the newly integrated pixel, it can now automatically build a custom audience based on the people who visited its website within the last 60 days but did not purchase. This audience is constantly and automatically renewed based on the 60-day window. Spearmint LOVE then used dynamic ads, which pull from the company’s product catalogue, to encourage people to revisit the site and make a purchase. Learn how you can use Instagram Shopping to drive more sales in 2019! Twitter has revolutionized breaking news and provided unparalleled access for users to connect with both niche and mainstream influencers. 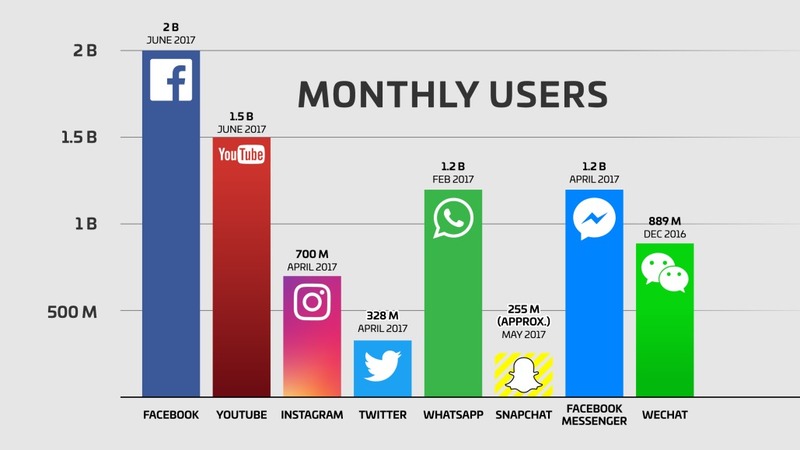 With 328 million monthly active users, it remains one of the most popular social media platforms. Unlike Facebook, Twitter is still a viable network for organic engagement. Brands don’t need to pay in order to reach their followers, which enhances the platform’s value even when running paid ads. On average, Twitter users shop online 6.9x a month, while non-users shop online just 4.3x a month. And there’s particularly good news for smaller businesses: Twitter reports that 60% of users purchase from an SMB. Ecommerce stores today use Twitter ads primarily to drive brand awareness and promote specific products for direct conversions. The most common model is Twitter website cards hosting under 100 characters and displaying some variety of rich media. On average, a thousand ad impressions (CPM) on Twitter ads cost between $9 and $11 while clicks cost roughly 25-30 cents each. Both optimized campaigns bring about similar levels of engagement for a minuscule price difference. Twitter ad cost has been steadily increasing over the last 2 years due to more marketers slowly taking advantage of the platform, but overall, the platform is considered to be relatively underutilized for advertising. Twitter is considered to be relatively underutilized for advertising. For a step-by-step guide to setting up your Twitter campaigns, check out this piece by KISSmetrics. Use a relevant, compelling image that gives context to the viewer, fits your brand and draws attention. Rich media is a non-negotiable on Twitter. Be very targeted with the products or lead magnets you choose to promote. Twitter requires a more focused approach than other channels. Use a “Shop now” CTA to direct warmer leads back to an ecommerce site. Again, be sure this is taking them to the specifically advertised product page or the advertised discount or other lead magnet offer. Build user engagement directly into the ad. Twitter excels at direct connection between brands and consumers. Take advantage of that in your ad campaigns. Prioritize brevity: in the ad, landing page, offer copy, etc., Twitter is all about brevity. A great example of Twitter ads in action comes from RockTape, an equipment and athletic tape retailer. “A website-clicks or conversions campaign allows you to use a Website Card with your promoted tweets. Website Cards offer a choice of call-to-action (CTA) buttons, an image and a headline to let you drive traffic to your site directly from a tweet. Promoted tweets with Website Cards drive 43% more engagement than just tweeting out a link. RockTape used this social media strategy to increase engagement with their own campaigns, driving users directly to their store and increasing sales. To learn more about Twitter advertising, read the complete Guide to Twitter Advertising. Pinterest is unique. It’s visual, like Instagram, but unlike Instagram, it is highly targeted toward women with an 81% female user base. With 175 million monthly users, it’s also an incredibly active platform. Pinterest is widely regarded as a strong platform for ecommerce sales. Images are often built around custom product creation. Users intentionally use the platform to find and purchase creative products. Promoted pins blend into the Pinterest boards and don’t distract or put off would-be Pinterest users like some other platforms do. Pinterest’s demographics suggest products targeted toward millennial women from the U.S. will do very well with their ad platform, and case study data confirms this. Ecommerce retailers particularly love the value of Pinterest’s highly targeted search engine and use Pinterest ads to promote their brand and products. This process is accomplished by picking a high performing pin and promoting it based on engagement or visits to your store. The promoted pins are then placed in more relevant positions across Pinterest’s boards and are highly visible to those browsing and searching for keywords associated with your brand or related items. Advertising data is a bit more difficult to find with Pinterest. Not too long ago, ads were very expensive at $30-40 per 1,000 impressions and only available to big brands. More recent reports indicate that users are experiencing more affordable rates, with one user citing a CPM of $5.30 and a CPC of $1.52, which would put Pinterest in a similar ballpark to other platforms. When you talk about Pinterest advertising, you are really just talking about promoted pins. For a step-by-step guide to setting up your own promoted pins, check out this guide from Social Media Examiner. Creativity sells. Users are looking through hundreds of pins in rapid succession. If you want to get noticed, you need to stand out, either through pure creativity or creative attention grabbing. Focus on trends. What are competitors posting? What searches are trending? What products are hot? Engage with your followers. Repin your fans and use curated repins to expand your audience and tap into larger audiences. Be detailed. Pinterest is essentially a search engine. Include long, detailed descriptions with keywords and hashtags. Be very intentional about where your pins are linking. The click-through destination will determine whether or not you waste the click or turn it into a lead or sale. A great example of Pinterest ads in action comes from Native Union, a popular cell phone accessory brand. The company reposts its high-class lifestyle pictures using its products to highly organize any modern home. The posts have helped Native Union earn wholesale placement in brick-and-mortars like Paper Source –– due to their popularity with 18-30 yr old women. Sign up to get in! LinkedIn is another unique social platform that revolves primarily around the B2B market. LinkedIn has an estimated 227 million monthly active users, evenly split between male and female users. 61% of users fall into the 30-64 age range bracket. LinkedIn is where you tend to find the highest average disposable income, with 75% of LinkedIn users earning $50,000 per year or more. It’s also where you tend to find the highest quality leads, particularly in certain industries. Unlike most social platforms, which excel at B2C advertising, LinkedIn is uniquely suited for B2B ads and social media marketing campaigns. Service businesses and B2B product businesses tend to have far more success on LinkedIn than B2C retailers. In fact, the industries that see the greatest success with LinkedIn advertising include recruiters, secondary education, and high-end B2B products and services. On LinkedIn, average cost per click (CPC) ranges from $2-$7 per click and can go as high as $11 or $12. For a step-by-step guide to setting up these campaigns, follow along with this guide. Track ad performance religiously and discard any ads performing at under a 0.10% click-through rate (CTR). If you hit close to 1% or above, scale! While LinkedIn’s ad targeting might seem juvenile next to Facebook, the ability to target by company, company size, titles, location, seniority, age, education and skills can be incredibly effective for B2B purposes. Use it! LinkedIn users prefer shorter, pithier ad copy than their Facebook counterparts. Focus on professional problems and challenges. Everyone is trying to get ahead. Can you help them? Much of the value of LinkedIn lies in its groups. Look for ways to reach those groups with your ads and ad campaigns. A great example of LinkedIn ads in action comes from Baume & Mercier, a Swiss luxury watchmaker that has been associated with innovative, affordable excellence for more than 180 years. The brand wanted to reach an audience of ambitious, young professionals across Europe and extend awareness and engagement beyond their existing customer base. To do that, they looked to LinkedIn. Using a Sponsored InMail campaign tailored for audiences in Italy, France, Spain and the UK, the brand invited young professionals to celebrate moments of success through locally relevant experiences LinkedIn’s targeted focused on the audiences with the greatest potential for the brand: watch lovers, young affluents and young professionals progressing their careers. The LinkedIn campaign delivered a response rate of more than 50%. 216 of those responding went on to attend the events, with 157 providing contact details. Click through rates came in at up to 4x the benchmark, with up to 15% of those receiving InMails going on to attend the events. In addition, the brand grew their CRM database by 1,200 new members, who opted in for ongoing engagement with Baume & Mercier. To learn more about LinkedIn advertising, check out this comprehensive guide from Effin Amazing. Snapchat is one of the newer platforms to emerge on the scene as a competitive force with 301 million monthly active users. While it remains to be seen if the company will succumb to Instagram’s social video push, as of now, it’s a viable advertising platform with a highly active user base. There’s really only one stat you need to know to understand the value of Snapchat. On any given day, Snapchat reaches 41% of all 18-34 year-olds in the United States. 41% of ALL 18-34 year olds in the U.S. will interact with Snapchat today. 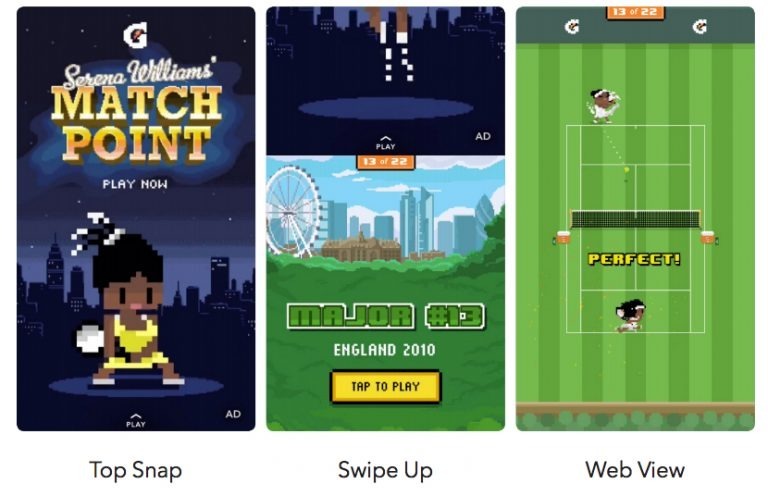 Snap ads are mobile, interactive video ads with 5X higher swipe-up rate than the average click-through rate for other comparable social platforms. These cost between $1,000 – $3,000 per month to run. Video lenses are part of what made Snapchat so popular. They are fun and engaging, both individually and in groups. Sponsored Lenses allow brands to create and deliver custom lenses for users to play with. The cost for Sponsored Lenses runs from $450,000 to $700,000 per day. Taco Bell’s Snapchat Sponsored Lens (pictured above) received over 224 million views and was played with by users for an average of 20 seconds. Snapchat Discover ads put a brand’s story at the very top of user app feeds at a cost of $50,000 per day. Geofilters are creative overlays that users can add to their stories. 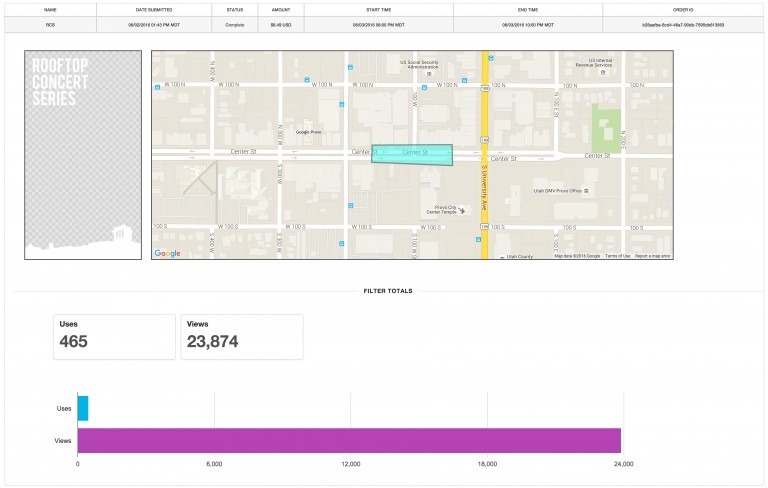 The cost for brands to add their own location-based overlays can be as little as $5 (or rarely, as expensive as $20,000). Wallaroo Media reports getting 23,000 views on this type of ad for as little as $7. To learn how to set up any of the campaigns mentioned above, check out AdEspresso’s step-by-step guide. To learn more about Snapchat advertising, check out this brand new guide from Buffer. Now that we’ve taken a look at our top social ad platforms (and perhaps selected 1 or 2 to pursue) it’s time to decide how to manage our campaigns. There are three primary ways to manage social media campaigns. Frankly, there is no “right” answer here. Each of these have strengths and weaknesses and can work for different businesses. The cheapest way to manage your ad campaigns in terms of operating cost is to simply run them yourself. There are no special requirements to manually run a campaign. Just head to the platform you wish to advertise on and set up your campaign on their website. On the plus side, running campaigns yourself allows you to devote 100% of your budget toward testing different ads and finding winners. Every dollar goes directly into actual advertising. Furthermore, running ads yourself will result in you developing your own expertise, which can be used to better optimize your ads and will persist into the future. Even if you change tactics down the road, you will have a baseline understanding of how advertising on a given platform works and a threshold to measure outside hires against. On the negative side, expertise isn’t developed overnight, and every hour you spend mastering advertising is an hour you don’t spend elsewhere. If you are a business owner or marketing manager, there is a fairly significant opportunity cost on your time, and you probably can’t afford to devote the required hours to learn and master social media advertising. Expertise isn’t developed overnight, and every hour you spend mastering advertising is an hour you don’t spend elsewhere. Additionally, devoting 100+ hours is no guarantee that you will succeed, and even if you do, it’s very likely that your hourly rate x 100 is significantly more expensive than hiring an outside service to get potentially guaranteed results. Simply put, you might be taking a massive gamble with guaranteed downsides and only speculative upsides. If you don’t have money in hand to hire an outside service… you don’t have money in hand to hire an outside service. That’s just your reality, and it means that if you want to run social ads, you’ll need to do it yourself. If you are ready, willing and able to devote a significant amount of time to mastering advertising on a given social media channel, this can be a great option for you. If you succeed, you will have the means to bring in income for your business indefinitely. Social media advertising is a multi-billion dollar industry, and what does that mean? It means 3rd party tools – 3rd party tools everywhere. Over the years, some pretty fantastic software has been developed to aid in the process of running campaigns. These tools are used by in-house teams, agencies and soloprenuers alike to achieve advertising success. On-site ad managers aren’t always the most user friendly. Tools like Adespresso, for example, make optimizing Facebook campaigns and analyzing results significantly easier than attempting to do so via Facebook’s Ads Manager. Other tools like Adext use artificial intelligence to automate the entire process, allowing you to simply keep tabs on performance without needing to do much else. There are hundreds of tools that help you in hundreds of different ways, many of which perform at a high level and limit the time you have to spend manually mastering ad channels. Great tools nearly always come with noticeable price tags. By and large, social ad management tools tend to be relatively affordable, but they are still an additional expense that must be taken into consideration. And like investing time in manual mastery, there is no guarantee that any given tool will improve your results or even get results at all. Worse, it’s rarely a simple matter to identify where the tool is underperforming versus where the manual inputs are falling short. In other words, if your ads aren’t succeeding, you might be left clueless at how to troubleshoot the problem. Self-running ad campaigns with the help of 3rd party tools is ideal for businesses that don’t have the time to learn manual and don’t have the budget to hire a professional service. It’s completely possible to find winning ad campaigns with nothing more than a great tool and a few hours to spare, but at the end of the day, few companies growing their businesses with social advertising have arrived at their success via this sort of good fortune. Ultimately, pairing human mastery with effective tools is the ideal path to advertising success. If you have the budget, the simplest way to get that is to go out and hire it. Return on Ad Spend (ROAS). The third option is the simplest, the most expensive and in many cases, the most successful. By hiring a managed service, you can expedite the guesswork and stumbling blocks that come with DIY advertising and simply let proven experts handle it for you. If you hire a team that is very good at advertising, you will very likely get really good results… without any work on your part. You get to keep focusing on running your business or marketing team and doing what you do best, while a team of experts takes care of the entire advertising process for you. Assuming the fee plus direct ad spend is low enough to keep you net positive, you get the primary benefit of advertising – consistent sales and new customers – almost like you are getting it for free. There is only one real downside to hiring an agency: if you don’t do your due diligence (and sometimes even if you do), you can get burned. There are thousands of self-proclaimed experts whose only skill is convincing clients to waste money on them. If you hire a bad agency, you can end up losing a lot of money. Managed ad services are ideal for any business with the desire and resources to start driving new sales and profitable ad campaigns from day one. If you have a social media marketing budget and need immediate results, paid social advertising run by proven experts is THE way to go. Social advertising is incredibly measurable. You never need to be in question about how your campaigns are performing and the exact ROI you are getting from them. If your campaigns aren’t performing, you know exactly who to blame and can fire the agency running your ads for a new, better agency. How Much Does Social Media Advertising Cost To Outsource? Social media advertising management cost will vary depending on who you hire. Agencies and freelancers often charge fees based on 5%-20% of your total monthly ad spend and will often include a management fee. There is no better marketing strategy for ecommerce than social media advertising. No other avenue can deliver consistent, scalable, quality leads and customers from day one that can supplement any promotional marketing. Choose your platform. Run your campaign. Get results. Warren Jolly is the CEO of adQuadrant, a leading social media advertising firm focused on customer acquisition across top verticals including ecommerce, legal, insurance and financial services. Under Warren’s leadership, adQuadrant is a Facebook Global Top 1000 advertiser out of 4+ million advertisers and 1 of 33 Certified Snapchat Ads Partners.A serial entrepreneur and angel investor, Warren founded his first digital marketing business at age 17, and today serves as investor, advisor, or board member for more than 10 companies.Interested in optimizing your social advertising efforts? Take advantage of adQuadrant’s social advertising evaluation - free of charge - to learn what you are doing well and what opportunities you have yet to leverage. 10 hours of insights from 28 of the best ecommerce experts in the industry. All Free.